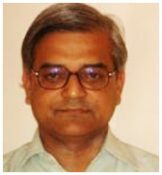 Dr. Krishnendu Chakrabarty (Principal), Professor, has obtained his B.E in Electrical Engineering from Regional Engineering. College, Silchar, M.E in Power Electronics from Bengal Engineering College and Ph.D from IIT, Kharagpur. He started his career as a Lecturer in Regional Engineering College, Silchar. He was a professor of Sikkim Manipal Institute of Technology, Sikkim. He has hold post of Principal in Meghnad Saha Institute of Technology, Techno India and Kalyani Govt. Engineering College prior to this college. He is a member of board of studies, Academic council and General council of MAKAUT. He is Life Member of ISTE and a Fellow of Institute of Engineers (India). He has several international publications in journals as well as in conferences in his credit. His area of interest includes dynamics of nonlinear systems and nonlinear phenomena and control of chaos in power electronics circuits. He is supervising PhD scholar registered under Jadavpur University.